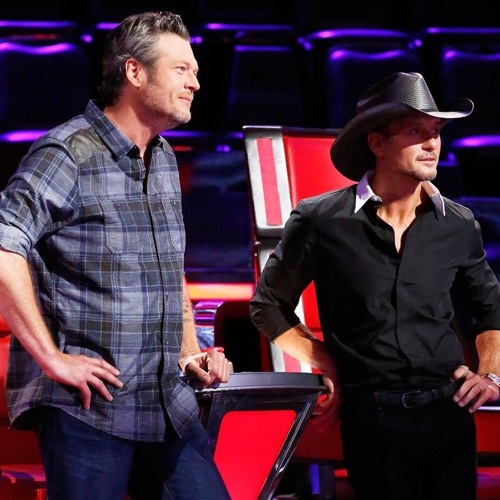 Tonight on NBC’s Emmy Award-winning musical competition The Voice airs with an all new Tuesday, October 31, 2016, season 11 episode 13 and we have The Voice recap right below. On tonight’s The Voice episode, The knockout round continues as more artists are chosen to go to the lives shows. Did you watch last night’s episode where on the second night of knockouts, three pairs of artists performed for the chance to make it to the live shows and the artists were pushed to new levels? If you missed the episode and what to find out what happened we have a full and detailed The Voice recap, right here for you! Make sure to bookmark this spot and come back between 8PM – 10PM ET for our The Voice Recap! While you wait for 0our The Voice recap make sure to check out all our The Voice spoilers, recaps, news & more! #VoiceKnockouts continue with Blake telling Alicia not to be a loser like Adam Levine. Blake hugs it out with Alicia and leaves Adam Levine to grab a consoling hug from Miley Cyrus. Then it’s battle time! This #TeamBlake knockout has country vet Austin doing Tom Petty’s Breakdown. Gabe has chosen It Will Rain by Bruno Mars. Tim and Faith have more notes for Gabe than Austin including notes on expressing what the song means to him. They get a final stage rehearsal then it’s time for the Knockouts. Austin is first with his Petty song – he does a nice job and it’s got a real Petty vibe. Gabe also does a nice job. Alicia says Austin was really aggressive and strong. Alicia says Gabe was feeling it and 1000% there. She remarks on his control. She says Blake has a tough choice. Miley says Gabe sings like he lives the lyrics and she was fangirling. She says Austin made an awesome song choice and she’s a fan. Adam says Austin was amazing and is one of Blake’s best. Adam says when he was 15, he couldn’t control anything and Gabe is amazing. Blake says Austin is breaking out of the pack and people are talking about him. He calls him a freak and says Gabe has all the girls freaking out and pours so much raw emotion into his singing and says he’s not normal and it’s good. Blake chooses Austin to take the Live Playoffs. This #TeamMiley knockout has two indie rockers facing off. Darby has chosen Shake It Out by Florence and the Machine while Maye is singing Closer by Tegan and Sara. Tim and Faith have fine tuning notes on their pitch, articulation and more and then it’s final rehearsal and knockouts time. Darby is first with her Florence song and then Maye. They both do really funky numbers. Adam says Maye made Miley a stage mom and says Darby is cute and fun to watch. Blake says this is as Miley as it gets for sure. He says he thinks Darby took more opportunities to showcase her voice but Maye had the more consistent vocal. Alicia says Darby is amazing at 17 and very authentic. She says Maye had her riveted. She says she was in her bliss and her blinking boots. Miley says Maye offers an experience when she performs and says it was a home run. Then she says Darby got her excited about the show and nailed the performance. Miley chooses Darby to take to the Live Playoffs. This #TeamAdam knockout is a rocker battle for the ages. Brendan is doing Soulshine by the Allman Brothers. Nolan is doing Love Is Your Name by Stephen Tyler which he wanted to sing in Season 10 when he got no chair turns. This year he got a four chair. Tim and Faith offer notes then it’s time to sing! Brendan sings first and his smoky voice is perfect. Nolan is second and he brings down the house too. Blake says he forgot how full Brendan’s voice is but Nolan went for the knockout and hit it over the fence and says it was so good. Alicia says they both have beautiful voices and says Brendan’s voice is powerful but the range didn’t let him show off. Alicia says Nolan unleashed and says it’s tough for Blake. Miley says they are very different. She says she wants to see Nolan in concert but would listen to Nolan at home. Adam says Nolan’s range is unbelievable and Nolan is a different approach and says it’s the hardest choice he’s ever had to make. Adam says neither deserves to go home. Adam chooses Brendan to take to the Knockouts. Miley says she’s glad he picked Brendan. This is #TeamAlicia’s last knockout. Alicia stole single mom Sa’Rayah from Miley. She’s doing Ain’t Nobody from Chaka Khan. Michael the piano bar player is singing Just the Two of Us. Michael goes first and kills it vocally and musically as he wails on the piano. Michael riffs and ad libs and works the room. Very cool. Sa’Rayah tears down the house with her big notes on the Chaka Khan song. Miley says she lit the room on fire but says Michael won the round because his glasses do something to her and just slid down the keys. Miley calls him super-special. Adam says they did the illest duo of all time. He says Sa’Rayah used it like a catwalk. He says Michael is doper than you think and is a killer. Adam says he gives it to Michael because he’s not what you expect. Blake says he’s a huge Michael fan. Blake says Sa’Rayah just did some notes and held them out so much. He says she’s incredibly talented. Alicia says he was a freak on the piano and says Sa’Rayah is a ray of light. Alicia says they both owned it but decides to take Sa’Rayah to the Live Playoffs. This last #TeamBlake knockout is powerful. Dana has chosen You Give Me Something by James Morrison so she can go acoustic. She does a great job in rehearsal and gets notes from Tim and Faith. Karlee has chosen Invincible by Kelly Clarkson. Dana goes first in their Knockout and sings beautifully. Karlee goes next but she seems to have chosen a song a bit too big for her. Alicia says Dana has an ease and joy when she sings. Miley says she thought she came out of her cocoon tonight. Miley says she was waiting for Dana’s big notes and was happy with her performance. Adam says Karlee has improved a lot and says he loves Dana even though she chose his mortal enemy and best friend Blake. Blake says Dana has incredible range and she can go either way and it blows his mind. Blake says he’s staling then chooses Dana to take to the Live Playoffs. This is a #TeamMiley Knockout of two rocker dudes. Aaron chose Die a Happy Man by Thomas Rett and Miley is pleased he chose a song she would not have expected of him. Miley stole Josh in the Battle Rounds and tonight he’s doing Whiskey and You, one of Tim McGraw’s songs. Josh goes first and he’s smooth. Miley says “damn” when he’s done. Aaron is next and he’s smooth too. Both are great. Adam says Aaron looks one way, sounds another and it shocks the crap out of him. He says Josh created a genuine folk moment like a 1960s coffee shop. Blake says Aaron has an edgy gift and Josh has to be the most chill human being he’s ever seen. Alicia says Aaron’s voice is subtly powerful and says Josh should beat to his own drum and says Tim and Faith will be floored and says it’s true musicianship. Miley says she has watched Aaron grow a lot and she’s so proud. She says she can’t wait for Tim and Faith to see Josh’s performance and says this is tough for her. Miley ponders and decides to take Aaron to the Live Playoffs. Alicia slaps her button repeatedly to steal Josh making her his next Voice coach. Alicia says she’s been waiting for him.